With 64 fentanyl deaths already this year, British Columbia declared a public health emergency on Thursday. It’s the latest sign that Canada’s growing problem of opioid addiction requires comprehensive action from the federal and provincial governments. The B.C government has taken important steps to reduce overdoses, including Thursday’s announcement, Dr. Seonaid Nolan, a University of British Columbia professor who studies opioid addiction, tells Yahoo Canada News. But more can be done to unite the province’s addiction-treatment and harm-reduction networks, Dr. Nolan says, and the federal government can play a role in helping the provinces deal with opioid addiction. “The federal government can really take ownership and leadership in helping direct the provinces in how to address their existing addiction crisis,” Dr. Nolan says. B. C.: tied to just 13 deaths in 2012, fentanyl was implicated in 139 overdose fatalities in 2015. Alberta: the opioid was tied to just six deaths in the province in 2011; it was implicated in 272 in 2015. Ontario: opioid overdose is the third leading cause of accidental death in Ontario, and fentanyl was linked to 173 fatal overdoses in the province in 2014. Saskatchewan: there were 11 accidental fentanyl-related overdose deaths there in 2015, compared to two in 2010. 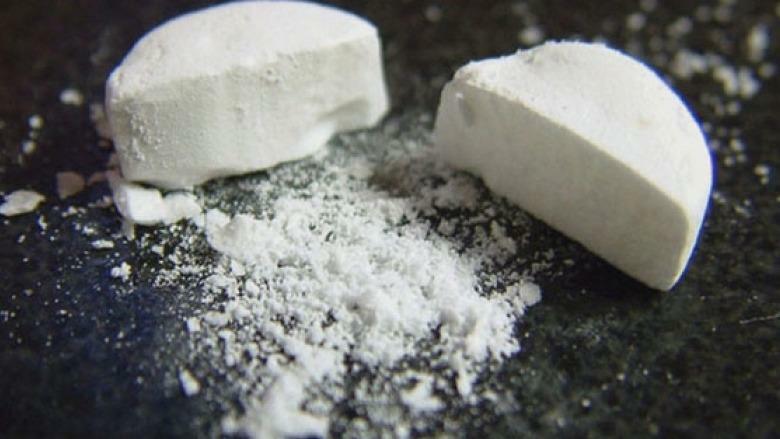 Quebec: fentanyl was linked to three deaths and eight overdoses in the Quebec City region in August, and suspected in 15 overdose deaths in Montreal in 2014. Nationally, there were at least 655 deaths between 2009 and 2014 where fentanyl was thought to be the cause or a contributing cause, according to a study released by the Canadian Centre on Substance Abuse (CCSA) in August 2015. Many of the most recent fentanyl-overdose deaths are tied to a powdered form of the drug that is either pressed into pill format or mixed with other narcotics like heroin. “We have reason to suspect that a lot of the harms we’re seeing from fentanyl may be due to powdered fentanyl being used as an adulterant,” Matthew Young, CCSA senior research and policy analyst, tells Yahoo Canada News. It’s likely many people who overdosed on fentanyl didn’t even know they were taking it, Young says. And because fentanyl is so toxic, even small dosage differences can be fatal — and there is no way to know what is in any particular dose. The Canadian Drug Policy Coalition has called for provincial and federal policy changes in order to lessen the number of opioid overdoses and deaths. Their recommendations include increasing access to naloxone, opening supervised-injection clinics, testing street drugs for composition and changing legislation in order to encourage people to call 911 in case of overdose without fear of prosecution. In the United States, new prescribing recommendations for opioids were released by the Centers for Disease Control and Prevention on March 15. The CDC now recommends the use of non-opioid alternatives for pain management, going with treatment at lower doses and for short periods and heavily monitoring patients prescribed opioids. Later that month, the U.S. Food and Drug Administration announced that detailed black-box warnings would be put on prescription opioids. And on March 29 President Barack Obama announced several policy measures, at various levels of government, to fight opioid addiction. National strategies can be hard to implement in Canada because of differences in the patient populations, Dr. Nolan says. But regional nodes of initiatives like the Canadian Research Initiative in Substance Misuse (CRISM) can inform provincial guidelines and physician training. The U. S. has put some pressure on Canada. In early March, American House and Senate members asked Canada to crack down on the availability of non-tamper-proof opioid painkillers. Canada responded that its role in the problem south of the border shouldn’t be overstated, citing research published in the Canadian Medical Association Journal. But the Canadian Medical Association has also publicly called for a national strategy to address the harms of prescription opioid abuse. And experts say that the overprescription of opioids has played a key role in the spread of addiction and overdoses. Some governmental efforts meant to help appear to have had the opposite effect. Ontario delisted oxycodone from provincial drug formularies in 2012, for example, but then other opioids, ones potentially more dangerous, were prescribed instead. “A lot of the prescribing practices that have happened over the last decade, we know that that certainly has contributed to our current addiction crisis,” Dr. Nolan says. And the use of tamper-resistant prescription opioids has kept those pills out of the illegal market. But the unintended consequence is that more toxic narcotics like fentanyl have filled some of the demand. “What we’re seeing now, with the illicit market being flooded with these fake tablets containing fentanyl, is in some ways an unintended consequence of better control of unalterable pharmaceuticals,” Young says. Higher rates of opioid overdose and death were seen in parts of B.C. with overprescription of painkillers, University of British Columbia research found. Opioid use is higher overall in B.C., compared to the rest of the country, but research led by UBC professor Steve Morgan found that it was better controlled in some parts of the province than others. The study, released late last year, found higher rates of opioid-overdose deaths in those areas of the province where opioids were overprescribed. There are some signs of change federally and provincially. On March 22 the federal government officially removed the prescription-only status for Narcan, the brand name for naloxone, an antidote to opioid overdose. Community groups had called for the change, pointing to the use of naloxone in several American cities and the lives that could be saved by making it more easily available. Police forces were investigating equipping officers in hard-hit communities with naloxone kits. Prime Minister Justin Trudeau has indicated that his government supports safe-injection sites. The government approved a second safe-injection clinic in Vancouver and other Canadian cities, including Montreal and Toronto, are considering their own applications. The evidence is clear on the benefits of these clinics, Dr. Nolan says: reduced overdoses, less diseases transmission and better access to addiction treatments. And a B.C. MP has put forward a “Good Samaritan” private member’s bill that will go to second reading this month. Similar laws have been passed in U.S. jurisdictions like Seattle, with the aim of encouraging people to report overdoses. Other measures like prescribed heroin for those with the most serious addiction problems and take-home naloxone and suboxone, an opioid blocker, are other options that should be considered by federal and provincial governments in Canada, Dr. Nolan says.